I had an informative post planned for this week about iron deficiency, but decided that it's a holiday week and time to lighten up and reflect a bit. I looked around our blog a bit and then it hit me. A year ago this Friday, November 27th, Shannan and I embarked on our Living A Whole Life journey. We've faithfully researched and written, about 4 posts a week, for an entire year. This year learning to blog has been an interesting one for me. I've learned a lot about blogging. It's much harder than I imagined to keep researching, writing, and producing fresh content through all the ups and downs daily life has to offer. Beginning blogging is really a thankless, non-lucrative (smile) endeavor. More than that though, it's a stimulating way to fast forward your own learning on a topic. I'm very challenged to understand why something is true so that I can explain it to our readers with the utmost of integrity. Blogging is also a community where I have learned so much from reading others work and from interesting comments placed on our site. So Happy Thanksgiving to you and your family this year. When we each stop and think of the individual struggles and accomplishments this year has brought, we have much to be thankful for. Thank you to all of you who faithfully read our blog and give Living A Whole Life a voice on the Internet. I leave you with some of our top reader-rated posts this year. 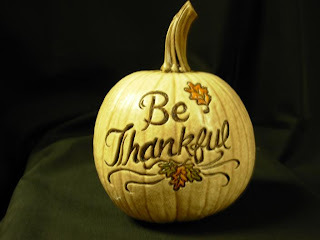 Have a wonderful Thanksgiving celebration and Shannan and I will catch you back here Monday to start our second year blogging here on Living A Whole Life. I am thankful for you and Shannan - you certainly add value to my blogging experience. Happy Thanksgiving!